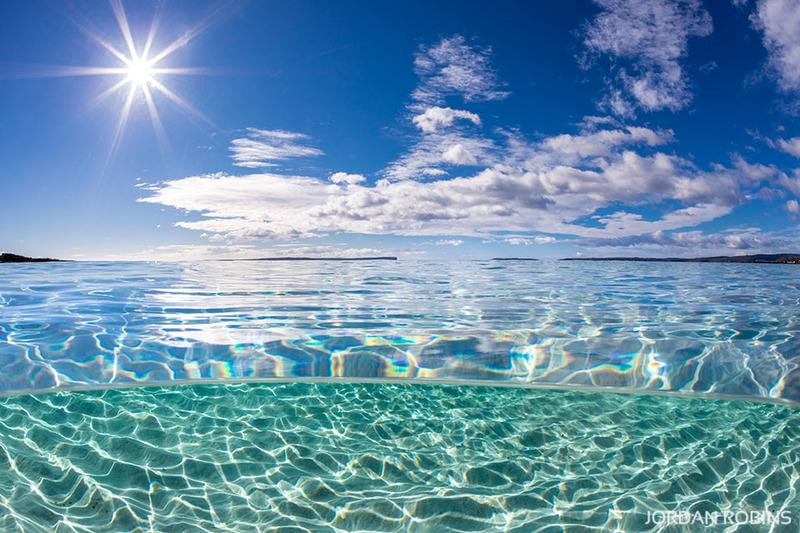 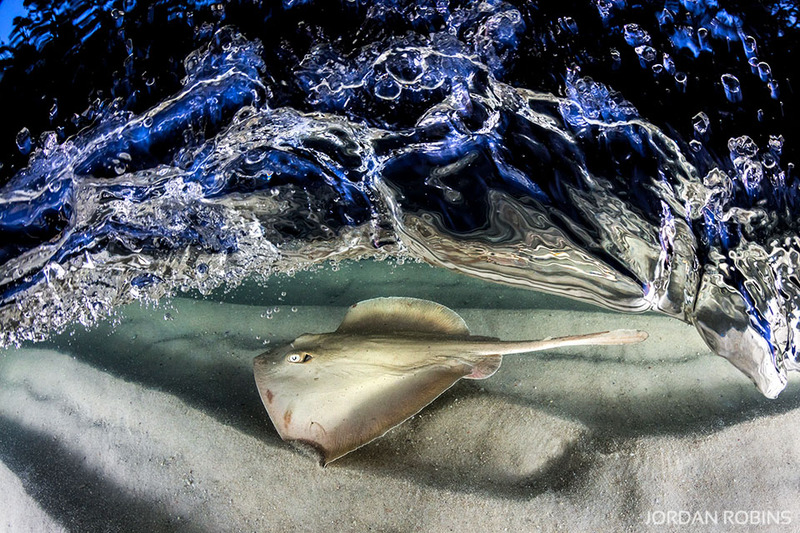 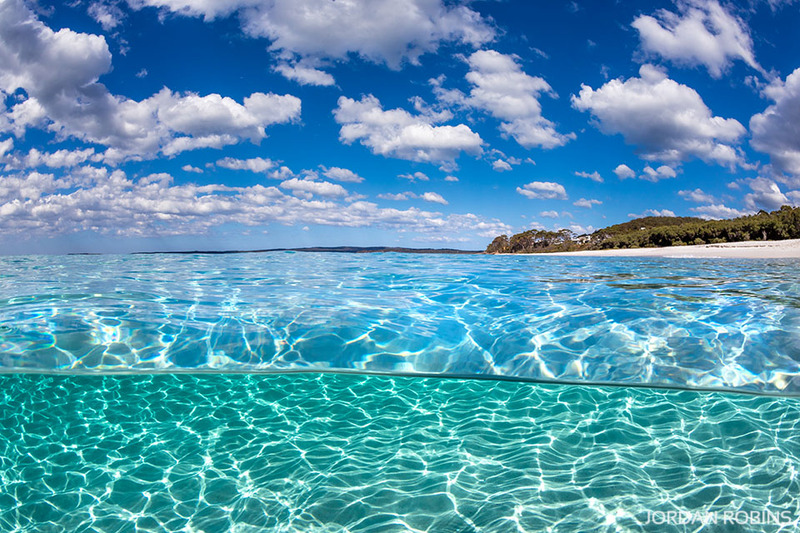 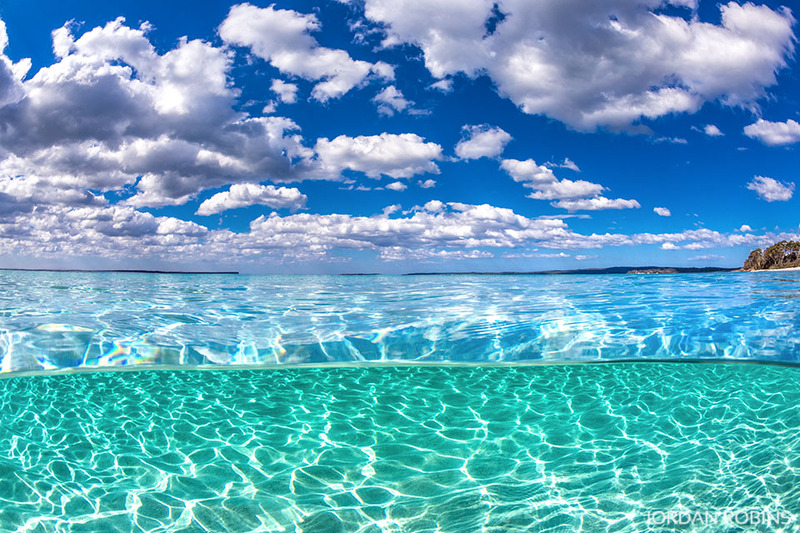 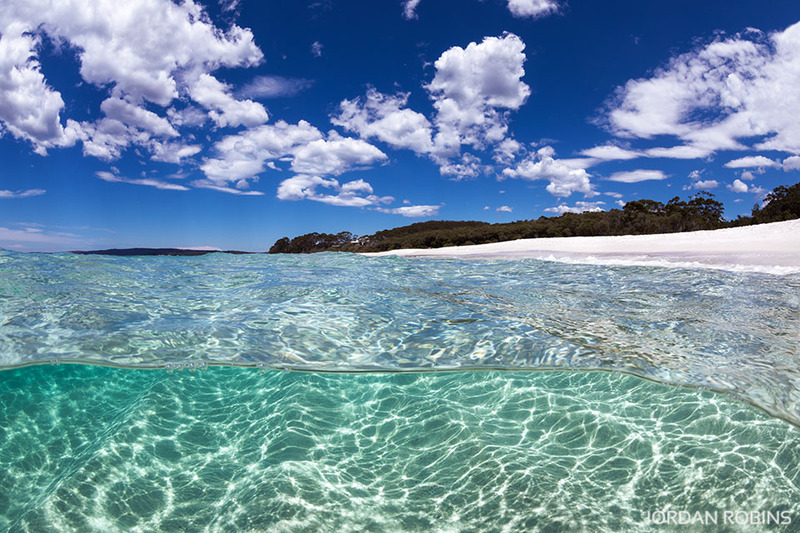 An ‘over under’ image of the crystal clear water on perfect summer day at Hyams Beach, Jervis Bay. 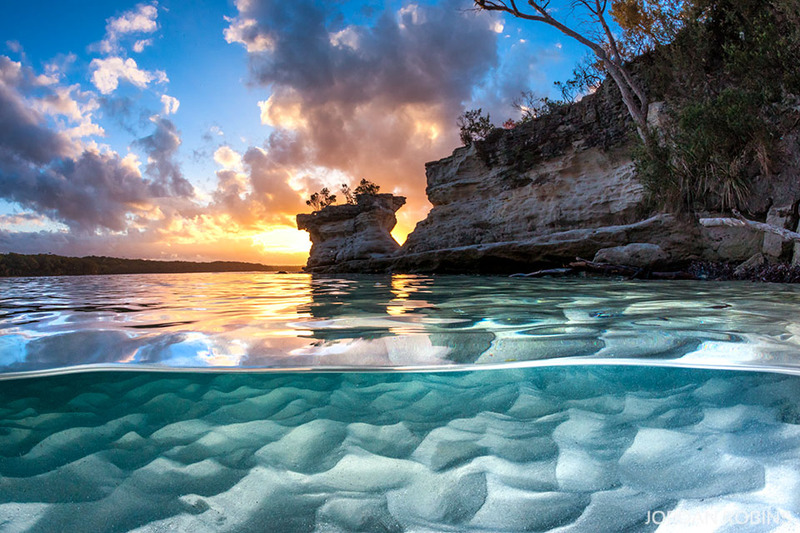 Above & below the water as the sun sets at Hole In The Wall Beach – Jervis Bay. 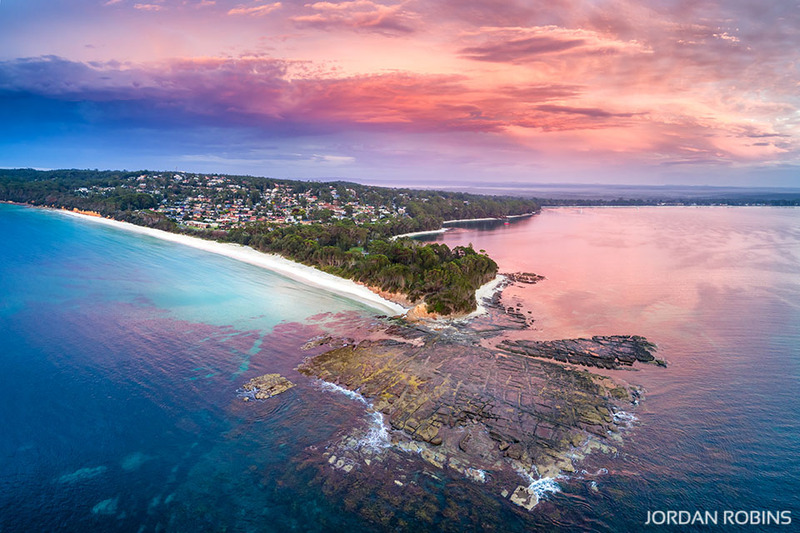 A birds eye view of Blenheim Beach, where the bush meets bright white sand and crystal clear water, Jervis Bay. 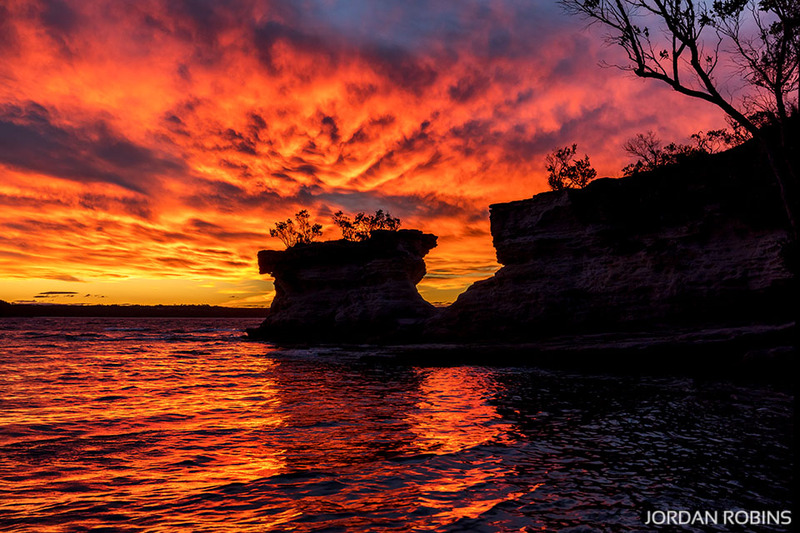 The sky bursting to life with colour as the sun rises at Plantation Point, Jervis Bay. 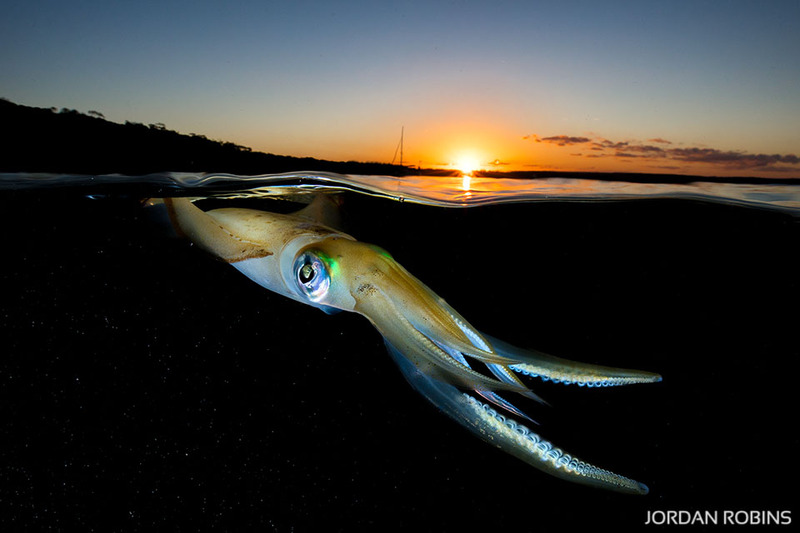 Winner of Clique Photos ‘Animals’ competition in May 2017. 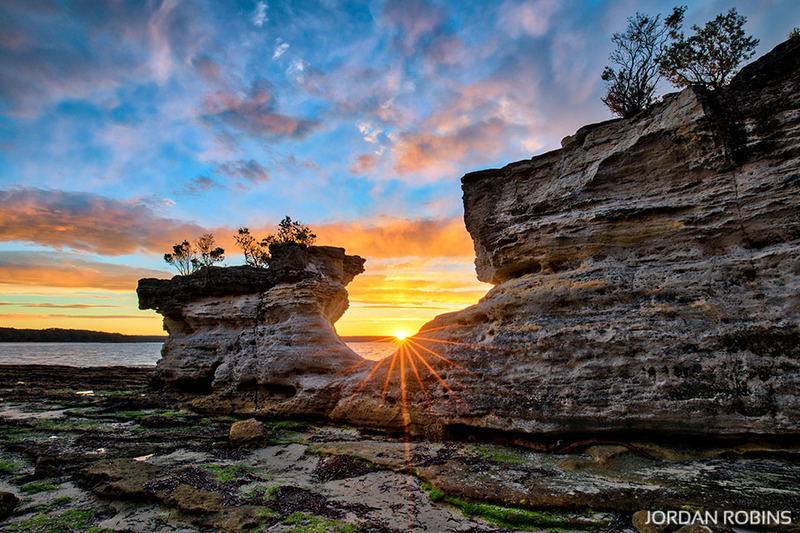 A Beautiful sunset at Hole in The Wall Beach in the Booderre National Park, Jervis Bay.